Peter Martin’s article in Thursday’s Sydney Morning Herald was directed at the inevitable decline in coal as a fuel for power generation. He made no mention of climate change, the prime reason for its demise but instead supported the risky strategy of using a generating mix that has failed to make a serious reduction in greenhouse gas emissions in any nation to date. His prescription for a mix of intermittent wind and solar supported by gas, batteries and limited hydro has been shown to fail. It has landed the German low carbon “Energiewende” onto an emissions plateau from which there is no escape while creating amongst the most expensive electricity in Europe. This was demonstrated in 2016 when Germany generated 545 terawatt-hours (TWh) of electricity at an average rate of approximately 560 grams of carbon dioxide emitted per kWh. By contrast, the French system with 75% nuclear capacity generated 530 TWh of electricity at an average rate of approximately 58 grams of carbon dioxide emitted per kWh. In terms of carbon emissions from electricity, this means that Germany emitted almost ten times as much as France — over 300 million metric tonnes. Now we see Germany abandoning its emissions targets as it comes to terms with increasing lignite burning, destruction of forests and the abandonment of some of the best low carbon nuclear power plants in the World. In Australia our commentators and policy wonks fail to focus on the end game of limiting climate change. Rather, they fall for a polarising debate between renewables and coal while avoiding the obvious nuclear energy solution. This debate has recently included giving magic properties to the Tesla battery in South Australia. The Tesla battery did not save an imperiled system when Loy Yang 3 shut down as claimed by Peter Martin. Rather it provided a modest increment to frequency control for a period of 3 seconds with an amount of power roughly equal to two very large diesel locomotives. If it had not intervened the grid would have operated without any problem. A successful low carbon energy system will be characterised by very low levels of emissions and resource consumption. Electricity generation at less than 50 gr. CO2 per kWh must become the norm and the system will need to power industry and transport systems that currently use fossil fuels. We have known for decades that such a system can be provided by nuclear energy especially if supported by hydropower. Sweden, France and Ontario are low emissions nuclear success stories and now Finland is joining them. A system based on “renewables” to collect all that low grade intermittent wind and solar energy becomes heavily dependent on non-renewable resources. Already in Germany more than 8,000 tonnes of solar panels have been dismantled with an average life span of 17 to 18 years and the consumption of materials is 64 times that of nuclear energy. Wind turbines are at least twenty times more materials hungry. The result will be a materials intensive, low quality and complex electricity generating system based entirely on imported goods and losing any of the residual strategic and economic benefits of energy independence. The throw away mentality of consumerism will becomes the norm as we see the constant upgrading of PV panels, meters, wind gearboxes, batteries and inverters. This could be arrested by the construction of a nuclear power plants that could last for the best part of a century and have at least 80% locally made content. Peter Martin attempts to turn the unpredictable nature of wind and solar from a vice into a virtue by claiming they can be reliably predicted and planned for. This is not correct and by way of example we saw a typical wind output swing in South Australia of 500MW at around 3pm on the 27th December, 2017 contribute to a wholesale price of $280/MWh. Seasonally we can’t predict the swings with the wind output across Australia in June 2017 being less than half that of June 2016. How in all seriousness can you run a stable power system with these fluctuations? Renewable energy advocates typically claim these fluctuations can be addressed using “smart” grids and demand side management. Now while this may work with domestic appliances such as the hot water system it will not translate to critical operations such as aluminium smelters, transport systems or industrial processes. The economic benefit of low cost renewables needs to be traded off against the economic loss to business and the demands placed on workers to adjust their shifts to match power availability. This all seems very much like the “tail wagging the dog”. Energy systems are created to serve the community and create wealth. We should not become their servants. Australia cannot afford the luxury of making our steel, aluminium, cement and plastics industries even less competitive compared to our trading partners. We have the means to create a low cost, low carbon, reliable power system using nuclear energy that serves the needs of people and enables the most profitable use of invested capital. It will be a system, which could be a national asset for a century and create a technologically advanced industry that could put Australian’s back in control of their destiny. Rob, thanks for your article. Tell me what to say to my daughter who is active in the Stop Adani campaign. She and her fellow activists her fellow swear by renewable energy as the future, but when I ask, “does that include nuclear energy?” she says it’s too late. Nuclear energy takes too long to build and we simply don’t have time. Perhaps you could tell your daughter that most of the impediments to introducing nuclear power to Australia are of our own making. If we showed the concern about global warming as all Australians showed in defeating Japan in WW2 we would have plenty of time. Since 70% of our electricity is produced from coal and our coal fired power stations are approaching the end of their lives, the obvious and urgent thing to do is to replace them with an affordable, proven, clean technology we can buy off the shelf with confidence of being on budget and on schedule. Renewable energy cannot do this as it cannot exist without back up, and the only proven backup requires fossil fuel. The latest Chinese 1100 MW Hualong reactors meet all these criteria and China can build one in 5 years from first concrete pour to on line operation. Moreover they can build four on the one site in eight years beginning each subsequent one, one year after commencing the previous one. The “Don’t have time” argument is flawed. The obvious thing to do is to continue the trajectory we are on. We will install 5 GW of solar this year and about 2.4 GW of wind. That will displace about 3.7 GW of existing coal and gas or the equivalent of a 2.5 GW nuclear plant . If we keep that up for about 8 years we will have enough generation to supply all our current electricity. demand. Along the way when we get to about 70% renewables we will see how much additional storage if any that we need. We are fortunate on the NEM that existing hydro can provide 25% of peak demand and there are some very easy options to increase peak power without new dams. The best time for us to start building nuclear power plants is twenty years ago. It’s never too late to start doing the right thing. It is getting to late for people to be fussy. We need all the options we can get. Solar and wind are not going to keep up with population and economic growth. China and India will develop Thorium, liquid salt, gas, metal and fast breeder reactors anyway. We will end up buying Chinese designed reactors. You can not stop that. All options need careful evaluation by people that are not biased either way and smart enough to understand. Basic understanding of Thorium liquid salt reactors is not that difficult if people are willing to consider it. A Uranium high water pressure reactor is a bit like cooking uranium in your thermomix. Most next gen fission reactors separate the nuclear material and the troublesome high pressure water. Maybe salt reactors are more like making a stew on an electric stove top and being able to through in all the spices and leftovers you want. In the absence of empirical evidence proving the case against CO2 (ie that it’s a pollutant – not – & so claimed primary driver of CAGW), then we should be TECHNOLOGY NEUTRAL! I don’t much care how my power is generated, nor who supplies it, provided it’s least cost & available 24/7! That’s how it was in the past when State Govt’s were responsible for power generation. ALL options should be on the table, including; fossil fuel generation by either coal or gas; the ‘Unreliables’ of Wind & Solar; Bio; Hydro; plus nuclear (uranium or Thorium or the long promised fusion technology, assuming of course that the current bans against nuclear are lifted!). Each should then stand on its own two feet with NO SUBSIDIES, in fair & open competition with one another against pre-determined MINIMUM Performance levels set by the Govt (eg +99% availability) with associated substantial financial penalties imposed upon ANY energy provider who fails to meet mandatory performance levels. How each energy provider generates their power would be their sole decision & risk. Let the open market then decide with whom they might invest by way of an IPO & associated Business Case setting out ALL relevant details for investors to make their own financial decisions. In keeping with their ideology the Greens will doubtless put their money where their mouth is & invest heavily in the ‘Unreliables’ of wind & solar etc, indeed so too might I. But NOT before I get to see a fully detailed Business Case, and that of their competitors, especially those in the fossil fuel & nuclear industry to compare relevant CapEx., ROI over 40-50 year life cycle, reliability factors & related performance against 99% mandatory minimum requirements. That should flesh out the commercial realities of the energy generation market! This article is wrong on so many fronts it is unbelievable. 2. As for nuclear the 2,200 MW Plant Vogtle is costing US$25 b plus financing costs, insurance and long term waste storage. It needs at least 6,500 MW of other plants operating at less than 65% capacity to provide spinning reserve. It will produce about 17 TWh per year assuming it can sell all the power it can make. Given the variability of demand in Australia it is unlikely demand will be there to provide minimum demand in any market region for a 2.2 GW plant plus the spinning reserves it needs, thus in autumn and spring it will be ramped down to 50-70% of its rated power so, in the Australian context, unless you put it next to Snowy II there is no chance of it achieving American style 92% CF. There will be 6 weeks every 18 months when maximum output is 1,100 MW assuming there is no need ever for maintenance shut downs outside of refuelling. For the full cost of US$33 bn, we could build 7,000 MW of wind, 8,000 MW of tracking solar, 10,000 MW of rooftop solar, 6,000 MW of pumped hydro and 5,000 MW of batteries. Annual output would be between 60 and 65 TWh, minimum output on a hot afternoon will be between 10,000 and 20,000 MW and minimum output at night will be about 6-7,000 MW. The spinning reserve is built in. I.e. for the same investment you get almost 4 times the annual power, 10 times the summer peak output. 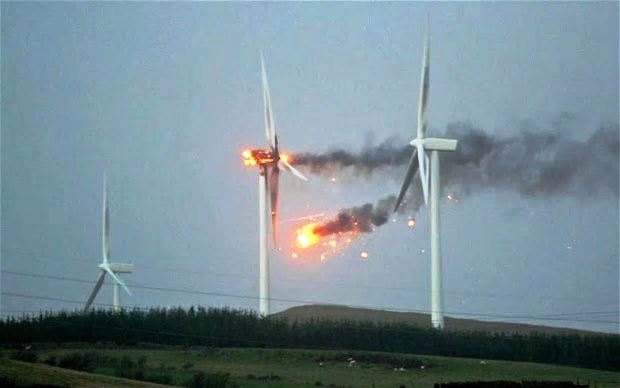 By using synthetic inertia on the wind and solar farms and real inertia on hydro and rapid response on the batteries you can have an up slew rate of about 15,000 MW/s in the case of lost generation somewhere else and a down slew rate of 25,000 MW/s if the system loses connection. The nuclear plant cannot safely change power by more than 300 MW/hour. Annual operating cost per MWh for the renewable system will be about A$15/MWh. US nuclear plants are costing about US$30-40 to operate. In addition a two unit nuclear plant like plan Vogtle will use 40 GL of water per year. The whole Barwon water region with a population of 300,000 people uses 30 GL. The problem in Victoria was 200 GW. 300 GW of tracking solar provides 200 GW+ from 7:30AM to 7PM. It can be installed in a year and costs about $420m. The UK has a far stronger case for nuclear, their plants will be more efficient, operate at lower temperatures i.e higher Carnot efficiency, have higher minimum demand and yet both Hitachi and Toshiba have recently abandoned plants there after spending billions and trying to offload them to Korean and Chinese companies. India has reduced its nuclear programme by 2/3rds, China hasn’t ordered a new nuclear plant in 3 years and the 23 plants proposed under the Obama administration have been reduced to one, Plant Vogtle. Plant Summer was abandoned after US$9bn was spent on it. The nuclear industry is where the Aviation Industry stood in the 1930’s. Many argued that flying was unsafe, unreliable and that we should stay with surface transport. Then came new technologies such as jet engines, radar, automation, computer systems etc and now flying is by far the safest form of travel. New technological advances in both fission and fusion are doing the same for the nuclear industry, making nuclear energy safer, and cleaner. Renewables and nuclear are not mutually exclusive. The task ahead to phase out the coal fired stations is daunting and requires a 2 pronged approach. If we had put the same resources/R&D into nuclear research that we have put into renewables, I believe we would now have Thorium Molten Salt Reactors providing safe, clean, and inexpensive baseload power available worldwide thereby dramatically reducing GHG emissions. I worked for a short period on the 10MW Thorium Molten Salt Reactor demonstration at the Oak Ridge National Laboratory in the mid 1960’s. They do work, but if we want to do something about global warming quickly, it would be a big mistake to step aside from the developed Gen 3+ uranium based reactors we have now, in favour of the undeveloped MSRs. It’s a no brainer even for an uneducated individual like myself. The only OECD Country not to have Neuclear Power because it’s illegal??? Come on! We all want Lucas Heights to make medical isotopes to treat breast and prostate cancer and too make the step down diodes for wind turbine generation and the price of houses in Cronulla hasn’t diminished! And politicians won’t answer your letters. For the full cost of US$33 bn for 2.2 GW Plant, we could build 7,000 MW of wind, 8,000 MW of tracking solar, 10,000 MW of rooftop solar, 6,000 MW of pumped hydro and 5,000 MW of batteries. Annual output would be between 60 and 65 TWh, minimum output on a hot afternoon will be between 10,000 and 20,000 MW and minimum output at night will be about 6-7,000 MW. The spinning reserve is built in. I.e. for the same investment you get almost 4 times the annual power, 10 times the summer peak output. The UK has a far stronger case for nuclear, their plants will be more efficient, have higher minimum demand and yet both Hitachi and Toshiba have recently abandoned plants there after spending billions and trying to offload them to Korean and Chinese companies. India has reduced its nuclear programme by 2/3rds, China hasn’t ordered a new nuclear plant in 3 years and the 23 plants proposed under the Obama administration have been reduced to one, Plant Vogtle. Plant Summer was abandoned after US$9bn was spent on it.